The move comes after Health Canada opted last year not to outright ban wire-bristle brushes. A person cleans a grill with a wire-bristle brush. The Standards Council of Canada released a request for proposals Wednesday to establish new national safety standards around barbecue brushes. 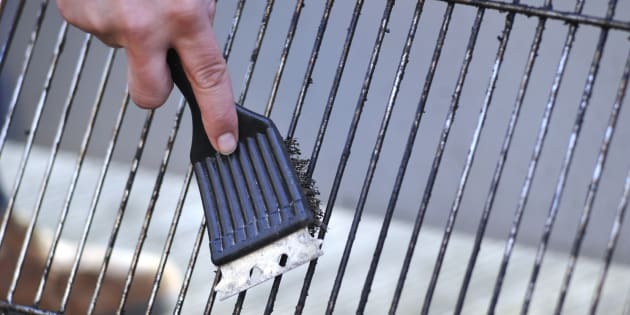 OTTAWA — As the outdoor grilling season gets underway, the agency in charge of establishing Canadian standards is working on new national guidelines for barbecue brushes following a number of cases in which people accidentally ingested wire bristles. The Standards Council of Canada released a request for proposals Wednesday to establish the new standard, aimed at protecting consumer health and safety after Health Canada opted last year not to ban the controversial wire-bristle brushes outright. Bristles have been known to come loose from barbecuing brushes and become stuck in or on food — turning a well-loved summer activity into a serious health concern for anyone unlucky enough to swallow a loose bristle. In creating the new standard, contractors — organizations specifically accredited to develop standards — will consider the construction, testing, sale and use of the tools. The Retail Council of Canada and industry experts will also consult on the process. Health Canada commissioned the Standards Council to develop the new guidelines, the agency confirmed in an email. Health Canada first investigated the safety of metal brushes in 2017, identifying 28 incidents of injury in Canada since 2004 that resulted from accidental ingestion. They concluded, however, that recalls or imposing regulations would not be practical, given the ubiquitous nature of the products. Standards are needed because so many Canadians will consume food prepared on grills cleaned by metal brushes at some point in their lives, says the guidance accompanying the request for proposals. Safety warnings are not always displayed prominently enough and bristle detachment is "not specific to a particular brand," it adds. Wednesday's news came as a relief to Kim Schellenberg of Red Deer, Alta., who unintentionally swallowed a wire bristle from a cheap brush in 2014. "I realized that this would take a long time to do and that wanting to see something done and having it happen are two different realities," Schellenberg said. "Hearing that yes, they're going to continue to look at this, it's good to know that the wheel is turning, even if it is slowly." Schellenberg's painful ordeal resulted in several CT scans and surgeries to locate the bristle lodged in her throat, which eventually passed on its own. She said she was "flabbergasted" to discover last year that barbecue brushes are unregulated in Canada and was "over-the-top angry" at Health Canada's initial lack of action. Health Canada currently recommends that barbecue users regularly replace brushes, throw them out if bristles become loose or buy a metal-free alternative — like a wooden scraper, which Schellenberg and her family now use. 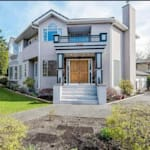 The standard will be voluntary in nature, unless they are "referenced in regulation," said the council, which does not have "the mandate to create or enforce regulations." The guidelines are expected between 12 to 18 months after the contract is awarded. The request is open to interested bidders until May 15.